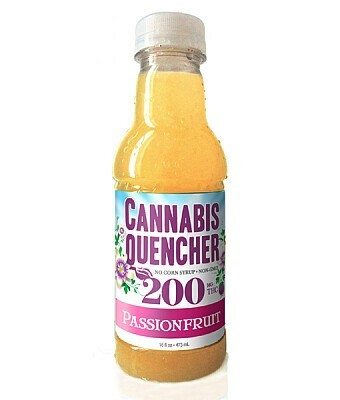 The newest flavor of cannabis quencher. This one has a bright tart deliciousness. Pucker up for this tropical treat. Made with real fruit juice and sweetened with stevia. The only added sugars are naturally occurring in the fruit juice. Vegan, Gluten-Free, No Corn Syrup. Ingredients: Apple, Pear, Passion Fruit and Clarified Passion Fruit Juice Concentrates, Water, Natural Flavors, Cannabis Extract, Citric Acid, Potassium Sorbate, Sodium Benzoate, Stevia and Eryrthitol.